We are programmed by experiences which form our individual beliefs and cultural attitudes. These beliefs and attitudes are responsible for our feelings about the way things should operate, how people should behave and how others should treat us. These feelings are not rational and they are unique to us. We may know how we should respond based on the values of the organization but this may not be in accordance with our automatic reactions. Our early experiences and history may not be aligned to that of the organization. While we can work to keep our responses in check, as pressure builds and demands increase, tension increases and people react. The reactions that we express reactions and that we receive are information. We can use this information to identify, isolate and neutralize the triggers, thereby curbing habitual, reactive patterns. Regardless of gender, our work as leaders is to create an environment that provides safety for growth and boundaries to protect. Employees, children and colleagues all need access to an environment that can support their needs, challenge their thinking and allow for contrasting ideas. An environment that cultivates success requires people to share diverse opinions and use the feedback from the environment to expand their perspectives. The Logosynthesis® Method offers a beautiful philosophy and effective technique to move beyond our habitual patterns, individual beliefs and cultural attitudes. As we expand perspectives, cultivate respect and create space for success, we collectively move beyond traditional roles at work, at home and in the community. Men and women are different and as we learn to fully appreciate the contrast, we can respectfully create more vibrant, robust and exciting organizations, families and communities. We can celebrate our differences to truly appreciate and develop the much needed leadership that each of us brings, regardless of age, ethnicity or gender. To learn more about how you can support women in leadership, contact us. 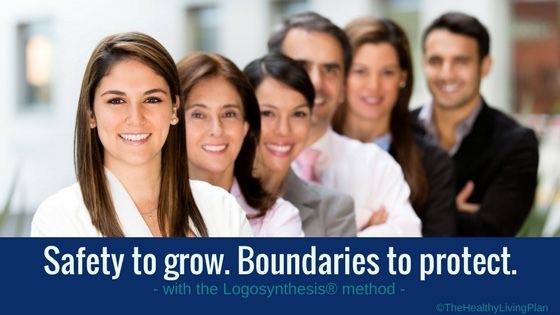 To learn more about Cathy Caswell and how she has applied the Logosynthesis® method as a personal and leadership development philosophy and technique, send her a message.